Victoria was the daughter of Prince Edward, Duke of Kent and Strathearn, the fourth son of King George III. Both the Duke of Kent and the King died in 1820, and Victoria was raised under close supervision by her German-born mother Princess Victoria of Saxe-Coburg-Saalfeld. She inherited the throne at the age of 18, after her father's three elder brothers had all died without surviving legitimate issue. The United Kingdom was already an established constitutional monarchy, in which the Sovereign held relatively few direct political powers. Privately, she attempted to influence government policy and ministerial appointments. Publicly, she became a national icon, and was identified with strict standards of personal morality. She married her first cousin, Prince Albert of Saxe-Coburg and Gotha, in 1840. Their nine children and 26 of their 34 grandchildren who survived childhood married into royal and noble families across the continent, tying them together and earning her the nickname "the grandmother of Europe". After Albert's death in 1861, Victoria plunged into deep mourning and avoided public appearances. As a result of her seclusion, republicanism temporarily gained strength, but in the latter half of her reign, her popularity recovered. HerGolden and Diamond Jubilees were times of public celebration. The Straits Settlements consisted of the four individual settlements of Malacca, Dinding, Penang (also known as Prince of Wales Island), Singapore (with Christmas Island and the Cocos Islands). The island of Labuan, off the coast of Borneo, was also incorporated into the colony with effect from 1 January 1907, becoming a separate settlement within it in 1912. With the exception of Singapore, Christmas Island, and the Cocos Islands, these territories now form part of Malaysia. There are three series of Straits Settlements coins issued between 1871 and 1935 with the inscription of "Straits Settlements". These series of coins were issued under the reign of Queen Victoria (1837 -1901), King Edward VII (1901-1910) and King George V (1910-1936). In brief, the three Settlements of Penang, Malacca and Singapore were amalgamated to form the Straits Settlements in 1826. The capital was Penang until 1836, when it was transferred to Singapore. 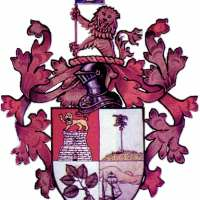 In 1858, British Government took over the Straits Settlements. During this period, the Straits Settlements was under control of the Government of British India. A new issuance of coins with the inscription of "India Straits" was released in 1862. 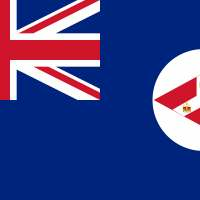 In 1867, the Straits Settlements were transferred to the Imperial Government in London and on the same year the Straits Settlements became a Crown Colony. The first series of Straits Settlements coins was then issued in 1871. This series of Queen Victoria Straits Settlements coins was issued in ¼ Cent, ½ Cent, 1 Cent, 5 Cents, 10 Cents, 20 Cents and 50 cents. ¼, ½ and 1 Cent coins were made by copper and bronze depending on their issuance year. 5, 10, 20 and 50 Cents were made by .800 silver. 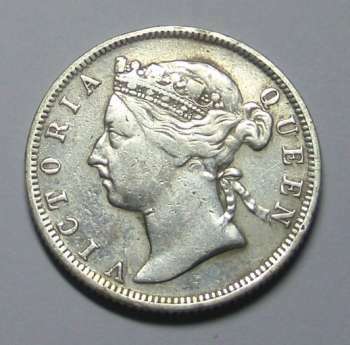 These coins were released from 1871 to 1901. 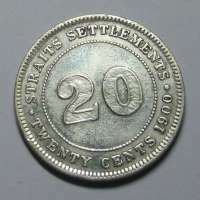 The Straits Settlements coinage gradually became acceptable legal tender in the neighboring Federated as well as the Unfederated Malay States. The Straits Settlements were dissolved in 1946, while the coinage continued to circulate until demonetized at the end of 1952.